^ All live content is recorded and may be viewed asynchronously at your convenience. See course agenda for live session dates. Apple’s entry into augmented reality is gathering pace at an amazing rate, says one of its vice-presidents visiting Australia. In an interview with The Australian yesterday, Apple vice-president of product marketing Greg “Joz” Joswiak said the enthusiasm of Apple’s development community building aug­mented reality (AR) applications had been “unbelievable”. He said in the commercial space, AR applications would evolve for shopping, furniture placement, education, training and services. Imagine being surrounded by a world of ghosts, things that aren’t there unless you look hard enough, and in the right way. With augmented reality technology, that’s possible—and museums are using it to their advantage. 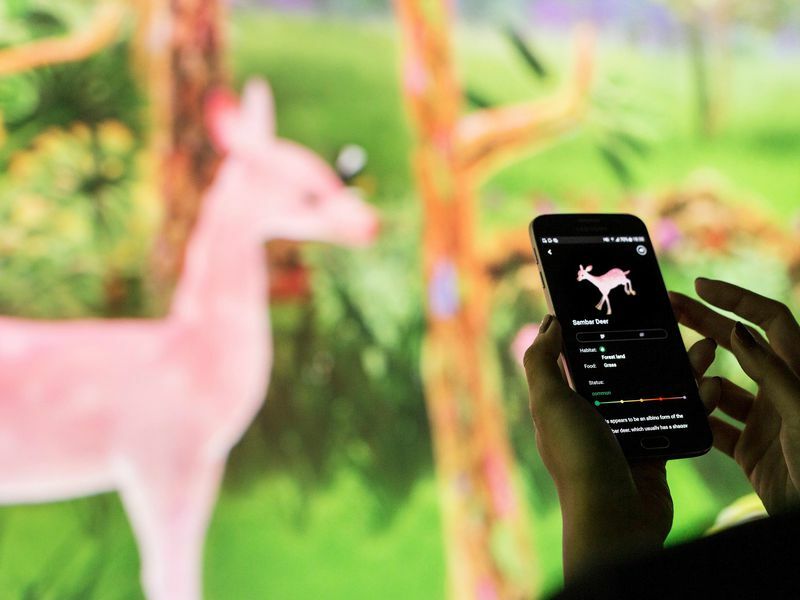 With augmented reality, museums are superimposing ther virtual world right over what’s actually in front of you, bringing exhibits and artifacts to life in new ways. These five spots are great examples of how augmented reality is enhancing the museum experience. EdTech magazine covers the latest news and discussions, live from ISTE 2017 in San Antonio, Texas. New offerings from big tech companies highlight this year’s megaconference in San Antonio. With more than 18,000 attendees and plenty of press coverage, the annual ISTE’s 2017 Conference & Expo has become a prime place for vendors to launch new products and announce updates. This year is no different. 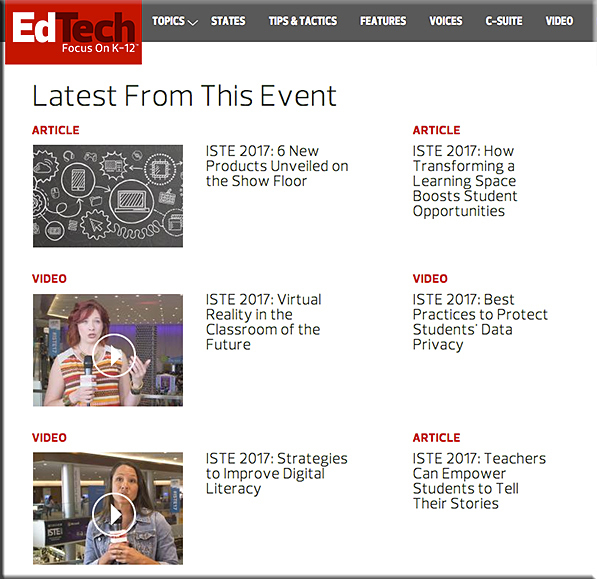 Check out some of the latest offerings announced at the 2017 event, and then head over to EdTech’s coverage page to read and see more news from ISTE. Like the first generation of the internet, this second generation promises to disrupt business models and transform industries. 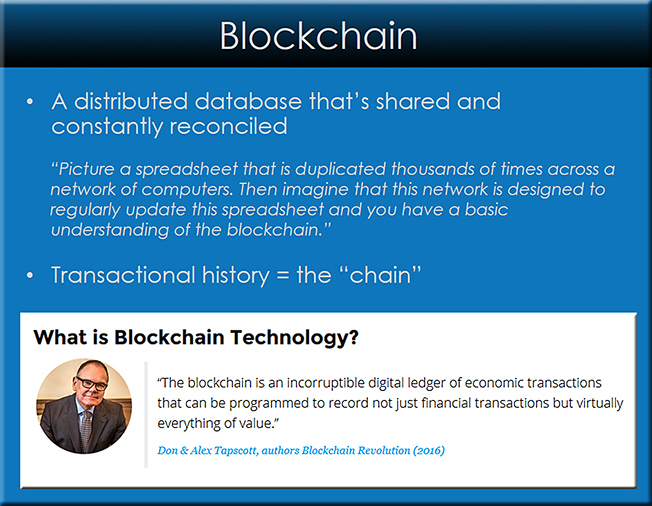 Blockchain (also called distributed ledger), the technology enabling cryptocurrencies like bitcoin and Ethereum, is pulling us into a new era of openness, decentralization and global inclusion. It leverages the resources of a global peer-to-peer network to ensure the integrity of the value exchanged among billions of devices without going through a trusted third party. Unlike the internet alone, blockchains are distributed, not centralized; open, not hidden; inclusive, not exclusive; immutable, not alterable; and secure. 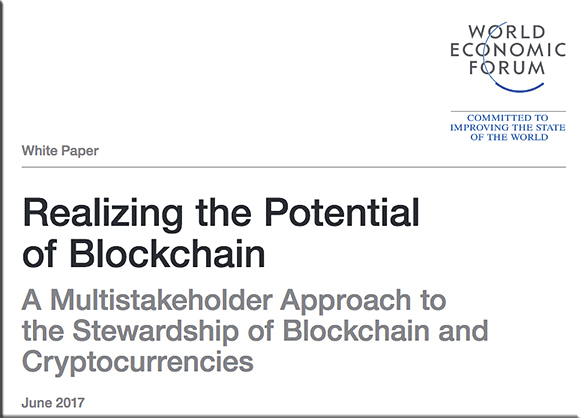 Blockchain gives us unprecedented capabilities to create and trade value in society. As the foundational platform of the Fourth Industrial Revolution, it enables such innovations as artificial intelligence (AI), machine learning, the internet of things (IoT), robotics and even technology in our bodies, so that more people can participate in the economy, create wealth and improve the state of the world. However, this extraordinary technology may be stalled, sidetracked, captured or otherwise suboptimized depending on how all the stakeholders behave in stewarding this set of resources – i.e. how it is governed. At the overall ecosystem level, we look at the need for a proper legal structure, regulatory restraint, diversity of viewpoints and scientific research in tandem with business development. We introduce each of the eight stakeholders in the ecosystem: innovators, venture capitalists, banks and financial services, developers, academics, non-governmental organizations (NGOs), government bodies, and users or citizens. Institutions of higher education need to put the topic of blockchain-based technologies on their radars, as blockchain could impact how people get their credentials in the future. It could easily turn out to be the case that community colleges, colleges, and universities will join other organizations in terms of being able to offer credentials to their learners. Augmented reality has become a field with limitless possibilities. It holds huge promise for improving educational systems across the globe. 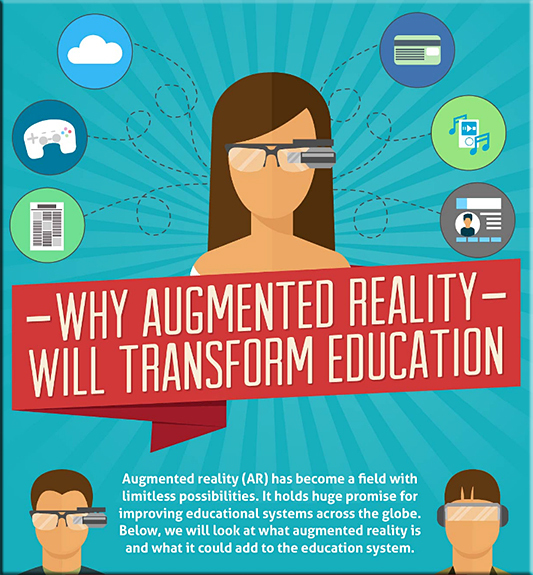 In the last 2 to 3 years, augmented reality (AR) has grown into a technology that is set to revolutionize numerous sectors, most importantly education. To learn more, check out the infographic created by the New Jersey Institute of Technology’s Online Masters in Computer Science program. We did a lot of things that seemed crazy at the time. Many of those crazy things now have over a billion users, like Google Maps, YouTube, Chrome, and Android. An alphabet is a collection of letters that represent language. Alphabet, accordingly, is a collection of companies that represent the many bets Larry Page is making to ensure his platform is built to not only survive, but to thrive in a future defined by accelerating digital disruption. It’s an “Alpha” bet on a diversified platform of assets. If you look closely, the world’s top technology companies are making similar bets. Technology in general and the Internet in particular is all about a disproportionate gains to the leader in a category. Accordingly, as technology leaders like Facebook, Alphabet, and Amazon survey the competitive landscape, they have increasingly aimed to develop and acquire emerging technology capabilities across a broad range of complementary categories. Accenture and Microsoft have created a prototype based on blockchain technology with the aim of creating a digital identity for 1.1 billion people around the world who don’t have a formal ID. Approximately one-sixth of the world’s population cannot participate in cultural, political, economic and social life because they lack the most basic information: documented proof of their existence. Establishing identity is critical to accessing a wide range of activities, including education, healthcare, voting, banking, mobile communications, housing, and family and childcare benefits. The ID prototype, which builds on Accenture’s capabilities in blockchain and its experience developing and deploying large-scale biometric systems, runs on Microsoft Azure’s cloud platform. Accenture and Microsoft demonstrated the prototype this week at the ID2020 Summit at the UN. The Australian Library and Information Association has announced the five winners of its inaugural Library Design Awards at its conference in Melbourne. 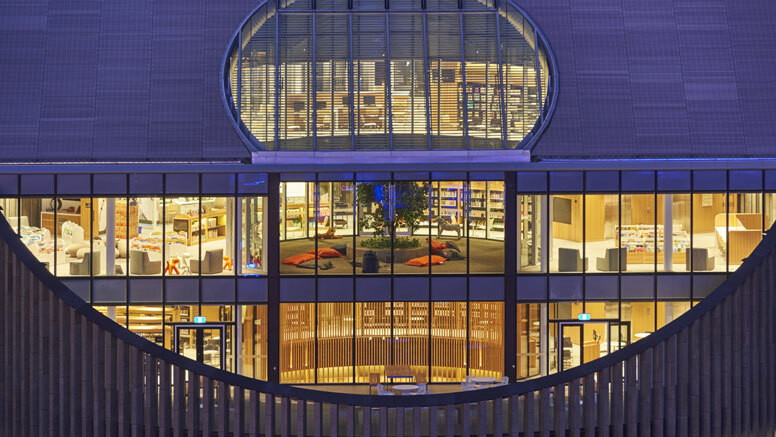 Thirty-three stunning libraries were entered in the awards and there is a winner in each category: public, school, academic and special libraries all feature in the entries. 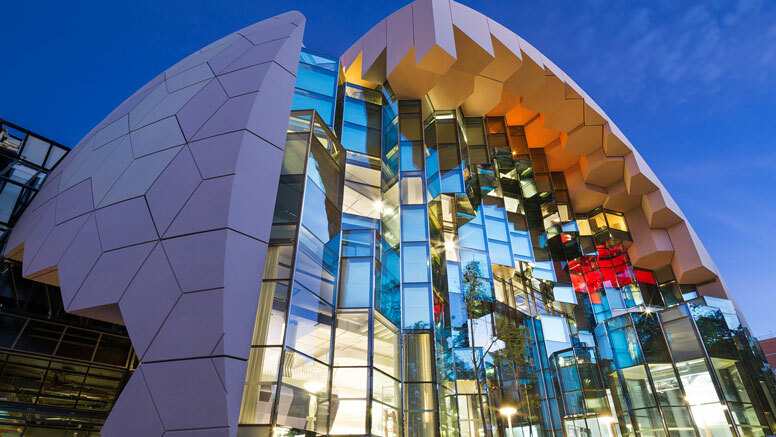 The Australian Library Design Awards were created to showcase the best in contemporary library interiors and exteriors in Australia, and to celebrate the investment in libraries made by Australia’s institutions, corporations, local, state and territory governments. And there’s more. 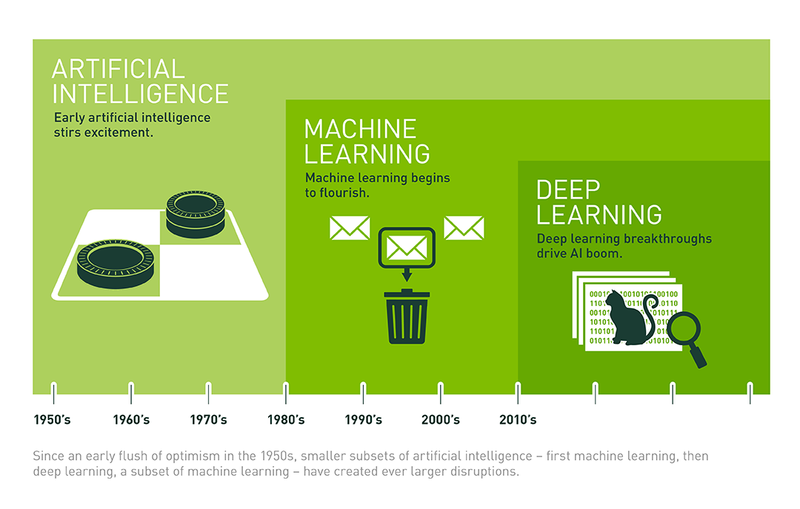 Just pause for a second and imagine all the things that deep learning could achieve. It’s amazing and perhaps a bit scary! The list goes on and on. David Venturi has a post for freeCodeCamp that lists many more resources. Check it out here.